“The pen is mightier than the sword.” Do you agree? “Before all else, be armed.” Thus wrote the ruthless Florentine politician-philosopher Niccolo Machiavelli, a man famed for his unflinching pragmatism and grasp of the darker truths of life. While a master of the written word, he also understood the brutal might of physical weaponry. The irony of Machiavelli’s influential assertion is that it proved the power of the written word even while arguing for the supreme might of military capabilities. For the purposes of this essay, I shall interpret “the pen” to refer to the written word and “the sword” to denote military power – in accordance with what I consider to be the spirit of the original quote “The pen is mightier than the sword”. While military armaments grow ever more devastating with the march of technology, I believe the quote remains timelessly true: the written word is, and always will be, more powerful than any force of arms. Sceptics will argue that military muscle – whether in the form of swords, guns or fighter planes – can allow any authoritarian or totalitarian leader to dominate the masses and intimidate them into submission. Those who speak the language of violence may scoff at the power of the pen (or its modern-day equivalent, the touchscreen keyboard) in comparison, and the seemingly frail and intangible words that issue from it as being easily brushed aside by lethal physical weapons. Indeed the writers of words of dissent can be silenced with just a sword or a bullet. A case in point is the burning of books by Mao Zedong during the Cultural Revolution. The pen seemed to be sliced apart by the brute force of the sword, and indeed many eminent writers were mercilessly dispatched. However, we should remember that the pen often has profound influence over those who wield the sword. Mao himself, we must remember, was profoundly influenced by the writings of an intellectual – Karl Marx, the writer of the Communist Manifesto. It was a book which, for better or worse, took the world by storm and sparked revolutions from West to East, North to South – including the Communist Revolution in China which lifted Mao to power. We should also recall that Mao used the power of the written word to control the people, in the form of communist literature which was used to indoctrinate young and old in the political ideology he espoused. The antiwar literature of 1960s America also fomented fierce protests and demonstrations against America’s involvement in the Vietnam War, and drove the United States (US) government – who were ostensibly in control of the military – to withdraw from Vietnam in 1975. In a democracy, the will of those who control the military often bends to the will of the people, who are often swayed by the written word. Indeed, democracy itself was spread by the written word of majestic writers such as Thomas Jefferson. When all is said and done, the sword or the gun cannot kill anyone by itself. Every weapon requires human agency to become an instrument of death, and it is the pen which most influences human thought and behaviour as it is the most eloquent way to convey ideas. Proponents of the primacy of the sword will contend that all the words and books in the world count for nothing if one’s country is unable to defend itself against military invasion. Indeed, all the fine writers and books in Poland seemed helpless and ineffectual in the face of German military might during World War Two, nor did Malayan literature seem to count for much when the country confronted the onslaught from the formidable Japanese army in the same conflict. When one’s country is unable to match the other side for firepower, one’s entire country – including its governance, society and culture – will be subjugated by another and all its words can be wiped out and replaced. The written word and all the knowledge and wisdom it contains, it seems, can seem purely academic as an awesome army cuts a swathe through one’s territory. This, unfortunately, is only a superficial and myopic view. Words contain knowledge and wisdom, and these carry the greatest power that man can harness; all the greatest powers on earth ultimately stem from knowledge and wisdom. Military power is itself a function of economic power: to build and sustain military power, one must have a robust, sustainable economy. Weapons cost money, and armies must be fed. Economic power, in turn, is a function of knowledge and wisdom. To build prosperity, a nation needs to have a good command of economics, science and technology, even sociology and psychology as economic prosperity rests in considerable part on social cohesion and human motivation and mentality. Most of this knowledge comes from the written word. Consider the military aggression of Russia and its President Vladimir Putin, who seemed so Herculean as the Russian military intervened in the Ukrainian civil war in 2014 and brushed aside the Ukrainian government forces to annex Crimea. It seemed that all the condemnation of world leaders and economic sanctions were powerless to stop the crushing force of the Russian military juggernaut. However, Mr Putin soon met with a severe setback in the form of plunging oil prices, which his nation’s economy is overly dependent on. Faced with a nosedive in the value of the rouble and unbearable strain in the state of his government’s finances, Mr Putin is now struggling to keep his country economically afloat. Russia’s military power is not likely to be sustainable and even now has become very limited. Even after a whole year of fighting, the Russian military and its allies in Ukraine have still not been able to conquer Ukraine, a much smaller country. This sorry state of affairs is due to Mr Putin’s lack of economic knowledge: he did not understand the basic principle that commodity prices are volatile by nature, and that an oil-producing country needs economic diversification if it is to achieve long-term economic stability and wealth. When one takes a still broader perspective, one should not fail to recognise too that the world has changed from the days when might was always right. After the indelible trauma of two devastating world wars, humanity has by and large come to the realisation that war is an unproductive, abhorrent way of solving problems. In the wake of World War Two, the United Nations was formed and with it, an increasingly established international law that the great majority in the world abide by today. For instance, the laws of national sovereignty. Today the vast majority of nations stand up for the sovereign rights of nations large and small, and we have a nascent sense of a community of nations who collectively enforce global norms on all. Hence the economic sanctions imposed by many countries, including the US and the members of the European Union on Russia and Iran have severely curtailed the economic, and therefore military power of these countries which have stepped out of line with international norms. Today a country’s might rests heavily on its political knowledge as well – its ability to win the global political acceptance and support of other countries. Failing which, it will be ostracised and severely weakened. This political knowledge comes from the pen, and not the sword. In sum, I stand by my conviction that the pen is indeed mightier than the sword – a truth that endures through the ages and all the transformations engendered by science and technology. Ultimately, humanity’s greatest gift is the intellect, which can only be grown and nourished by the written word and the knowledge therein. Brute force without the buttresses of intellect is always proven to be a short-lived, grasping and superficial power, one that will be sooner or later be exposed and vanquished by a superior mind. In any case, civilised human beings should turn to military force only as a last resort. For it is a truth just as timeless that those who live by the sword, will die by it. All rights reserved. No part of this essay may be reproduced or distributed without the express written consent of the author. 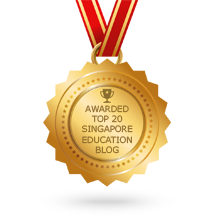 This entry was posted in Argumentative essays, English essays, gp model essays, Model essays and tagged argumentative essay samples, gp essays, gp model essay on language, gp tuition singapore, gp tutor. Bookmark the permalink.